A toothache or other dental injury can be extremely painful, no matter what your age is. At Lightwood Dental, we specifically leave openings throughout our schedule each week to accommodate same day emergency appointments for both existing and new patients. When you need urgent care for a mouth injury or infection, we’re here to deliver the pain relief and dental care you deserve. Dental injuries should be treated as quickly as possible. If we’re able to see you within the first hour or so of breaking or knocking out a tooth, the better chance we have to preserve and stabilise it. Fractured and knocked out teeth should be carefully stored in a sealed container and covered in milk or contact solution. Adults can also tuck their tooth inside of their cheek on their way to our office, to keep it coated in saliva (just be sure to not accidentally swallow it). Do not scrub the tooth clean, as this can damage small attachments that aid in reinserting it. We know that a dental emergency happens at the most inopportune moments. That’s why we’re always ready, even if you’re caught off guard. Our extended office hours during select evenings and weekends mean we can see you outside of traditional office hours. 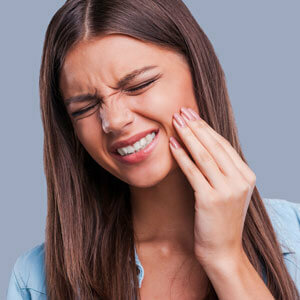 If you’re experiencing a severe toothache or other injury, contact us straightaway.